Plaza Centro Prosecco is amongst our most popular Proseccos on the website and the reviews and ratings can attest why. It sells like hot cakes whenever it’s half price, especially during the Christmas period. 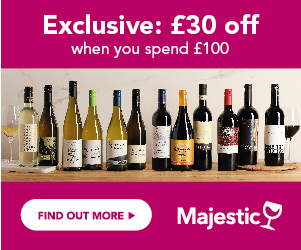 This wine is exclusive to Tesco Wine by the Case and made by Cantine Maschio in the Treviso Province of Italy (they also make the incredibly popular Cantine Maschio Prosecco). Refreshing and lively, this sparkling wine is full of citrus aromas. Drink it as a festive aperitif, with Italian food or use it for fabulous bubbly cocktails. You can drink this Prosecco now or in the year following the purchase. Review by noel rankin, 14/03/2019. Loverly friuty white prosecco, great taste one of the best I've tasted. Recommend this prosecco. Review by Dawn , 31/08/2018. Review by Vicky Dixon, 30/08/2018. Having tried lots of proseccos this one is by far the best. Not too dry but not too sweet. Perfect! One of my favourite bottles of bubbles light and fresh. Review by Christine , 28/03/2018. Review by John C, 31/01/2018. Best value Prosecco, especially if on offer! Review by Chris Cook, 01/12/2017. Review by Webber Forbes, 26/08/2017. A very agreeable and easy to drink Prosecco at such a low price point. A regular favourite! Review by John Baker, 07/06/2017. Lovely to have with or without food. Not dry. Review by Harvey Rock, 01/06/2017. Lovely Prosecco at a great price. Great, easy drinking and good value Prosecco, especially so when on offer at £5; stock up when you can! Really fruity but balanced taste. Tastes a lot more expensive than it is. Recommended. Review by Andrew Wyllie, 07/04/2017. This one ticks all the boxes , lovely bouquet , bursting with fruit and the bonus is in the very palatable price ! Review by Andrew Petrie, 07/04/2017. Review by Zena Slack, 07/04/2017. Always buy this on a weekend, it's a great taste for the price, my favourite. Review by Emma Cale, 07/04/2017. Really nice budget prosecco. Lovely smooth taste and not too gassy. Better than a lot of brands twice it's price. I wholeheartedly recommend it. Review by Alison Joyce, 07/04/2017. I bought several bottles because it was a great price but we were so impressed with this prosecco, we'd definitely buy it again! It was a bit fruity but still crisp. Perfect for any celebration or occasion. Lovely! Review by Rebecca Barnes, 06/04/2017. One of my favourite prosecco, good value for money & not been disappointed by a bottle yet! Ok - its not a DOC level prosecco , but on odd occasional through the year you can get this for a fiver at Tesco. For that price its a fantastic steal. Ive drank many bottles of this and throughly recommend it - its great on a Friday night as an aperitif to get the weekend off to a bang...literally . Enjoy !! Review by Mike Farrey, 06/04/2017. The extra £1 or so is worth it. This prosecco really shines out it has much more depth and flavour than cheaper ones and slightly darker in colour. Makes the others seem a bit pale and wishy washy! Try it! Review by Jane Pine, 06/04/2017. Review by Ali , 07/01/2017. Love this project. Very drinkable! Review by Lindsey Templeman, 13/06/2016. Light, crisp and dry - excellent value! Review by Jess Burns, 08/12/2015. I first drank this prosecco at a Christmas party last year and loved it. Since then I have looked out for the offers and bought lots when at a reasonable price. I think it is a really good all rounder when no more than £7/bottle... £5/bottle is a bargain but £13 is OTT. I buy a Cava for about £7 when I can get this on on offer. I bought a box of this stuff at £4.95 per bottle and for that cost it's a bargin. I boutght it based on the reviews. Watch out though because it's now £11.99 a bottle all the reviews where done at the cheaper cost and I believe for that price your better buying a bottle of plonk. This is not £12 a bottle good! I have tried many prosecco's and this is by far my favourite ! Tried this prosecco the other night before ordering a large quantity and its fab. It has everything you would expect from a decent bottle. Waiting for a good deal on Plaza Centro Prosecco NV? Enter your email address below and we will email you when it's on offer at 25% off or more! The Wines Direct Price Alert is a free service. In return, we just ask you to write a short review of Plaza Centro Prosecco NV to help other customers learn about it.